Estate: Wine Art Estate was created by Yannis Papadopoulos and Yannis Kalaitzidis when Papadopoulos began planting vines in a small family vineyard in 1993. Today the estate consists of 16 hectares of vineyards, with an additional 10 hectares that were planted in 2009. The estate is located near the little village of Mikrochori, 5km from Drama overlooking Mt Pangeon, and the ancient home of the Sanctuary of Dionysus. With it’s association with Dionysus, the God of grape harvesting and winemaking, the area has a long history of producing wine that goes all the way back to the ancient Greeks. Techni Alipias translates to “the art of making people forget their sorrows” in Greek. Tasting Notes: Golden yellow in colour with aromas of apple and grassy earth. 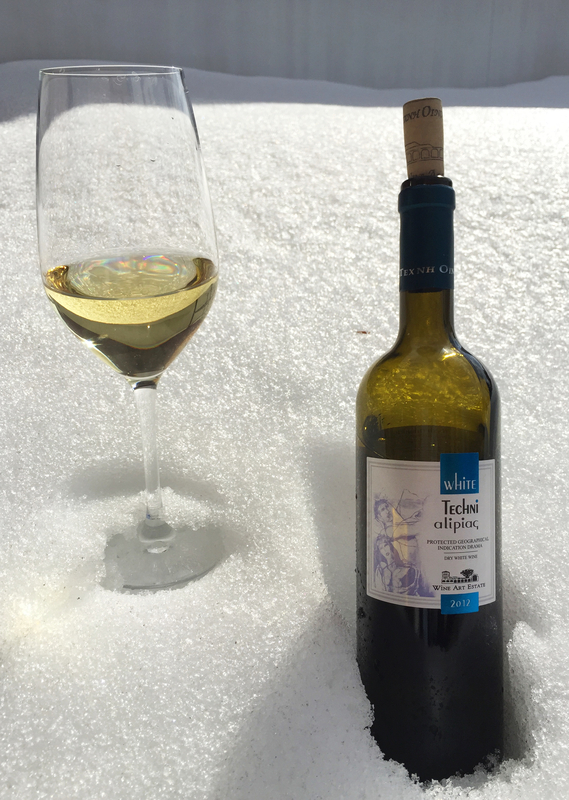 The small amount of Assyrtiko softens the Sauvignon Blanc; flavours of red apple drizzled in honey were balanced by crisp minerals, whilst pineapple and spicy ginger elements comprised the fresh finish.